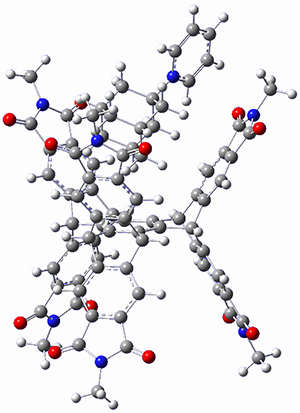 This paper presents a novel way of computing vibrational effects on chemical shifts. Existing methods generally compute such effects by displacing the coordinates along the normal modes to create PESs, computing the vibrational wavefunctions, computing chemical shifts for the displaced coordinates, and computing the chemical shifts as expectation values. 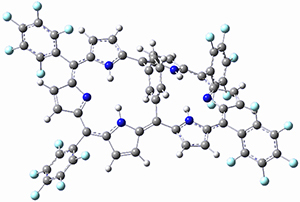 However, it can be challenging to use this approach on low frequency modes since they require relatively large displacements which tend to distort the molecule in unphysical ways. This problem can, in part, be solved by using internal coordinates but results can wary greatly depending on which internal coordinates one chooses. Kwan and Liu propose instead to perform a short (125 fs) B3LYP/MIDI! quasi-classical MD simulation "along" each normal mode and then compute an average chemical shift based on the trajectory. The MD simulation is "quasi-classical" in the sense that it is initialized based in the vibrational harmonic oscillator energy levels. The energy level is randomly selected from a Boltzmann distribution and 25 trajectories were found to be sufficient. Since the forces are computed at each point and used to determine the next displacement point unphysical distortions of the molecule are avoided. Another difference is that the chemical shifts are computed using a higher level of theory (B3LYP/cc-pVDZ) than that used to construct the PES. The various choices for method, basis set, simulation length, number of trajectories, etc is tested extensively in the supplementary materials, which also contains a more thorough description of steps in the algorithm (page 96). Here the authors also state that they "are in the process of developing a user-friendly package for carrying out these calculations, which will be reported in due course." Compared to the previously published methods for computing vibrational corrections this method is significantly more expensive in terms of energy and gradient evaluations. However, I wonder if the methods can be combined such that this method is used only for lower frequency modes that can problematic for the "displacement" methods. I also wonder if the method can be adapted to compute the anharmonic corrections to the enthalpy and entropy, which also can prove challenging for displacement-based methods. The large difference in the activation barriers between crossing 5a and 5s (nearly 9 kcal mol-1) suggests, by transition state theory, a preference of more than a million for loss of the anti N2 over the syn N2. However, quasiclassical trajectory studies, using B3LYP/6-31G(d), finds a different situation. The antipathway is preferred, but only by a 4:1 ratio! This dynamic effect arises from a coupling of the v3 mode which involves a rocking of the cyclopropane ring that brings a proton near the syn N2 functionality, promoting its ejection. In addition, the trajectory studies find short residence times within the intermediate neighborhood for the trajectories that lead to the anti product and longer residence times for the trajectories that lead to the syn product. All together, a very nice example of dynamic effects playing a significant role in a seemingly straightforward organic reaction. 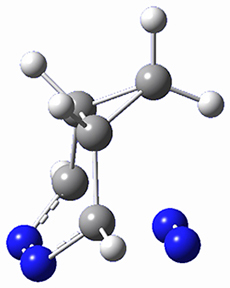 Badjic, Hadad, and coworkers have prepared 1 an interesting host molecule that appears like two cups joined at the base, with one cup pointed up and the other pointed down. A slightly simplified analogue 1of the synthesized host is shown in Figure 1. 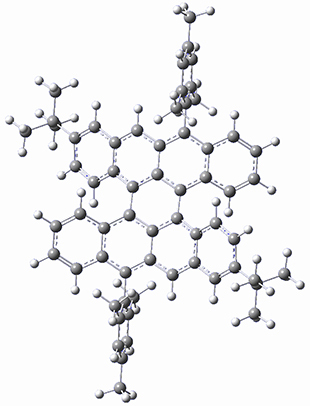 The actual host is found to bind one molecule of 2, but does not appear to bind a second molecule. Seemingly, only one of the cups can bind a guest, and that this somehow deters a second guest from being bound into the other cup. 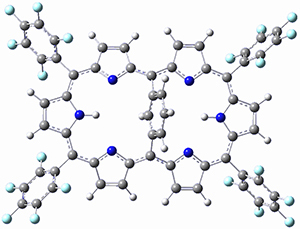 (1) Chen, S.; Yamasaki, M.; Polen, S.; Gallucci, J.; Hadad, C. M.; Badjić, J. D. "Dual-Cavity Basket Promotes Encapsulation in Water in an Allosteric Fashion," J. Am. Chem. Soc. 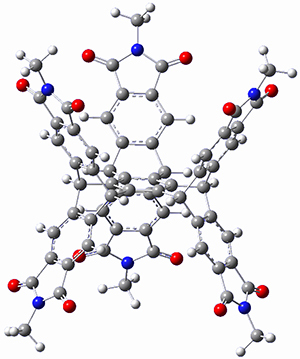 2015, 137, 12276-12281, DOI:10.1021/jacs.5b06041. 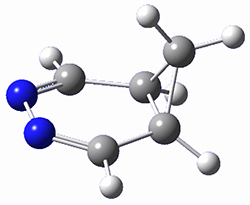 What is the relationship between a ground state and the first excited triplet (or first excited singlet) state regarding aromaticity? 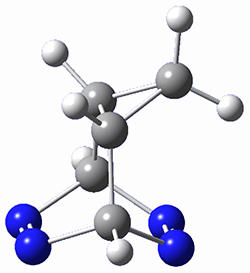 Baird1 argued that there is a reversal, meaning that a ground state aromatic compound is antiaromatic in its lowest triplet state, and vice versa. It is suggested that the same reversal is also true for the second singlet (excited singlet) state. 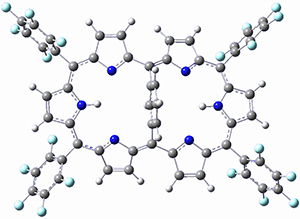 Osuka, Sim and coworkers have examined the geometrically constrained hexphyrins 1 and 2.2 1 has 26 electrons in the annulene system and thus should be aromatic in the ground state, while 2, with 28 electrons in its annulene system should be antiaromatic. The ground state and lowest triplet structures, optimized at B3LYP/6-31G(d,p), of each of them are shown in Figure 1. Figure 1. B3LYP/6-31G(d,p) optimized geometries of 1 and 2. 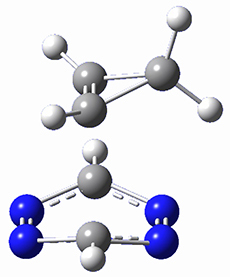 NICS computations where made in the centers of each of the two rings formed by the large macrocycle and the bridging phenyl group (sort of in the centers of the two lenses of the eyeglass). The NICS values for 1are about -15ppm, indicative of aromatic character, while they are about +15ppm for 2, indicative of antiaromatic character. However, for the triplet states, the NICS values change sign, showing the aromatic character reversal between the ground and excited triplet state. 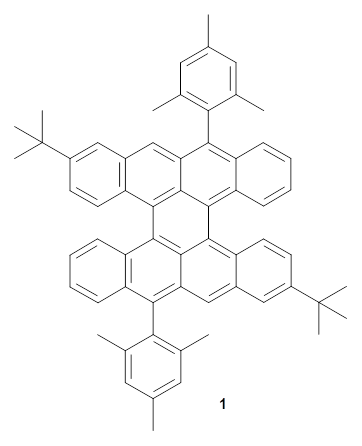 The aromatic states are also closer to planarity than the antiaromatic states (which can be seen by clicking on the images in Figure 1, which will launch the JMol applet so that you can rotate the molecular images). They also performed some spectroscopic studies that support the notion of aromatic character reversal in the excited singlet state. 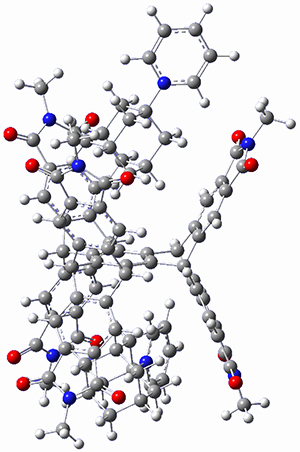 (1) Baird, N. C. "Quantum organic photochemistry. II. 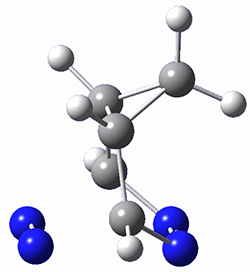 Resonance and aromaticity in the lowest 3ππ* state of cyclic hydrocarbons," J. Am. Chem. Soc. 1972, 94, 4941-4948, DOI: 10.1021/ja00769a025. 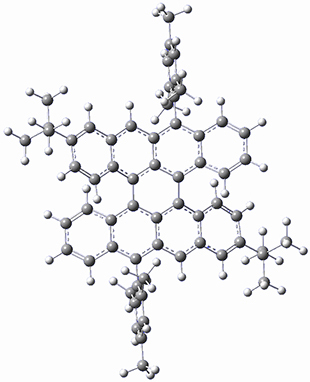 (2) Sung, Y. M.; Oh, J.; Kim, W.; Mori, H.; Osuka, A.; Kim, D. quot;Switching between Aromatic and Antiaromatic 1,3-Phenylene-Strapped - and Hexaphyrins upon Passage to the Singlet Excited State," J. Am. Chem. Soc. 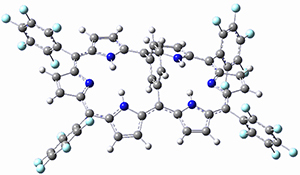 2015, 137, 11856-11859, DOI: 10.1021/jacs.5b04047.